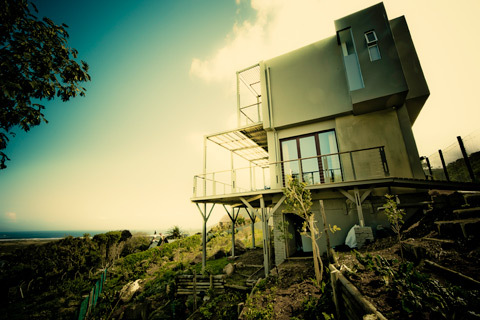 As the hemp house is on a fairly steep plot on the mountainside on Noordhoek, we opted to go for a strip foundation using a limited amount of concrete and brickwork to ensure that the house stood on a solid base. We did not throw as slab as the house will be suspended over these foundations. Once this process was complete, the first floor boxes were put into place. Each box was constructed using superjoists, which are beams that use OSB board in the middle and cut out 40% of the wood necessary. They are obviously lighter too, but without compromising strength. Each box is also insulated with hemp insulation. Within a few days the ground floor was laid down with absolute precision as any deviations from the plan here would have a major impact as they would get amplified as the wall panels went up towards the roof. Once this solid base was formed, things got really exciting, with the groundfloor wall panels and windows being delivered to site. Within the first 3 days, all the corner pieces and wall panels were up for the ground floor, and connected together. It was incredible to see the rate of progress. As we are building a double story house, a crane was used to place the 2nd storey floor boxes in their positions, and by the end of the first week most of the ground floor had a roof on, which was the floor of the 2nd storey. This was just in time, as we had some unseasonal rain move in for a few days which delayed things a bit. We were quite worried about the water getting inside the panels with the hemp insulation in, but they were well enough sealed that this was not an issue, and whatever did get wet quickly dried as soon as the weather cleared. This time was spent installing the ground floor windows and the plumber and electrician had time to connect the pipes and run cabling through the conduits which were already in the walls. By day 10, the ground floor had its full roof in place and work began on the panels for the 2nd storey. Again, the speed of progress was amazing, especially as the craftsmen developed better processes for lining the panels up and connecting them. By the end of week 2, the external walls were up and connected, which was just in time as we had 2 days of gale force South-Easter winds, the famous Cape Doctor, which again slowed things down a bit, especially the crane work. This week the roof is going on, and the external cladding of Magboard, a board made of a pressed mineral, magnesium oxide, is being applied to the front and back walls. Next we head into the hempcrete and waterproofing of the roof, internal cladding with the hemp chipboard and the interiors. Visible progress will slow down a bit as we head into the next phase, but it has been awe-inspiring to see how a flat site has now got a 2 storey high building standing on it in just over 2 weeks, even with the weather challenges and the fact of it being the first of its kind being built here. 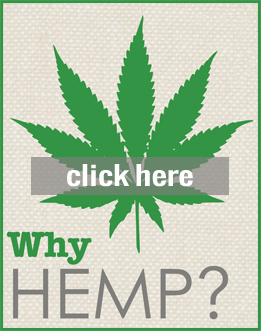 With the experience gained we will soon be able to speedily produce hemp houses for Africa!